Completed 2010. 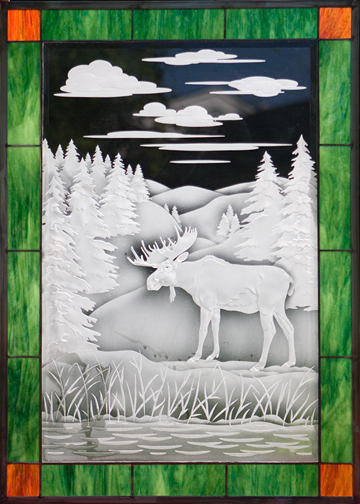 One of several window panels we made for new home in New York near Lake Erie. Etched & sand-carved glass with colored glass borders.